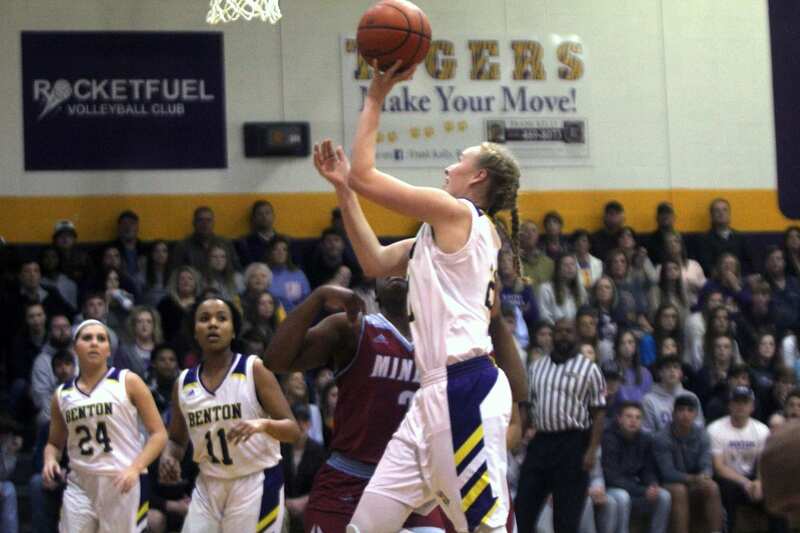 Benton (30-3) begins its quest for the state title Thursday at home with a first-round game against No. 32 Livonia (14-20). Official pairings were released by the LHSAA Monday afternoon. Benton finished with 42.94 power ranking points. Second seed and defending state champion Warren Easton had 42.84. Warren Easton defeated Benton 64-54 in the semifinals last year in Alexandria. The Lady Tigers defeated the Fighting Eagles 45-43 in the Battle on the Hardwood Nov. 16 early this season. Both Warren Easton and No. 3 Minden (29-3), which shared the District 1-4A title with the Lady Tigers, are in the opposite bracket from Benton. The Bossier Lady Kats and the Plain Dealing Lady Lions also made the playoffs. Bossier (11-20), the No. 26 seed, will travel to Monroe on Thursday to play No. 7 Neville (22-9) in a Class 4A first-round game. Neville, last season’s state runner-up, is just one of two teams to defeat Benton. Plain Dealing (4-17), the No. 29 seed, visits No. 4 Delhi (18-13) in a Class 1A first-round game. All 29 teams in Class 1A that opted to participate in the playoffs qualified. The Haughton Lady Bucs (17-11) barely missed making the Class 5A playoffs. Haughton was No. 33 in the final power rankings with 30.30 points, just .22 behind No. 32 Higgins, the last team in. Airline (16-16) was No. 35 in Class 5A with 30.14 points. Parkway (10-17) was No. 40 with 26.77 points. District 1-5A champion Captain Shreve (26-4), the No. 9 seed, will host No. 24 Fontainebleau (21-13) in the first round. All nine teams in select Division I make the playoffs. That means District 1-5A teams Byrd (4-25) and Evangel Christian (0-19), who finished sixth and seventh, respectively, are in.